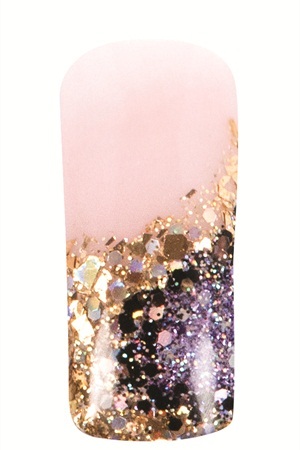 These glistening French tips are perfect for your client’s New Year’s Eve party. A nail look that’s better than a smooch at midnight, this design by Allie Baker, EzFlow’s global educator, will have your clients ringing in the New Year in style. Featuring a glitter swirl from the sidewalls for an asymmetric color block look, these glistening French tips are perfect for your client’s New Year’s Eve party. 1. Follow proper preparation procedure for acrylic application. 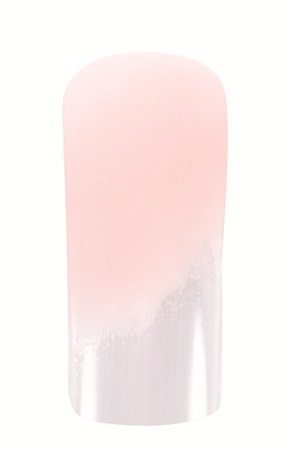 Using Cover Pink acrylic powder, apply a thin layer to extend the nail bed and even out transition from the nail bed to the form, and blend back toward the cuticle. Add a second ball of Cover Pink for added coverage if needed. 2. Using Sparkles & Streamers, place a bead on the form and create a half circle. 3. Using Poppin’ Bubbly, create a symmetrical smile line going around the side and blend the two glitter colors. Use another small amount of Poppin’ Bubbly to finish out the free-edge shape. 4. 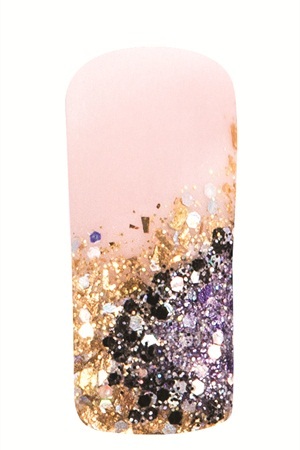 Using a small amount of Sequins & Stilettos, brush it in between the other two shades creating a distinct smile line. 5. 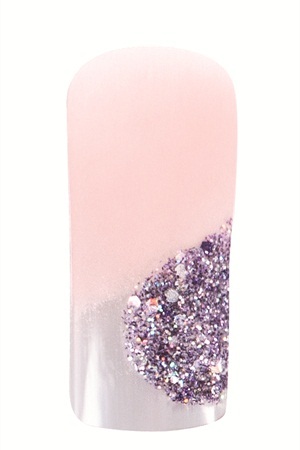 Encapsulate the nail with Clear acrylic powder and build in the structure and arch support of the nail. Keep the application thin around the cuticle. Finish the nail with an appropriate acrylic filing technique. 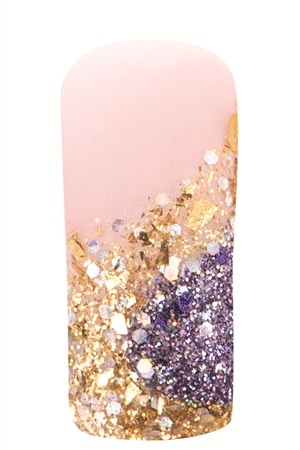 For more information about EzFlow’s Midnight Kiss collection of six festive, multi-dimensional glitter acrylic powders, visit www.ezflow.com.